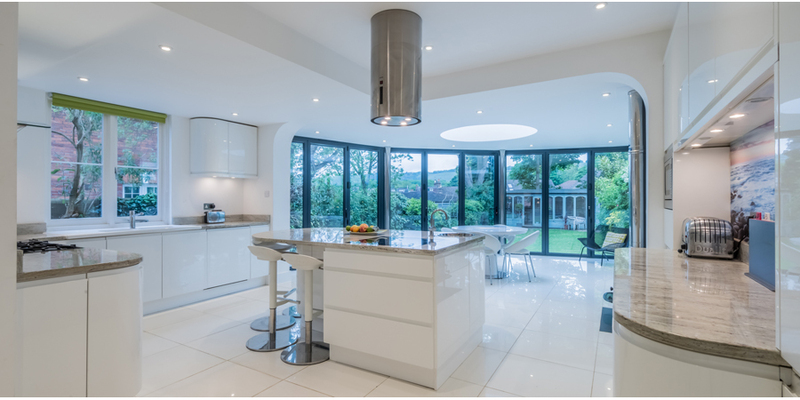 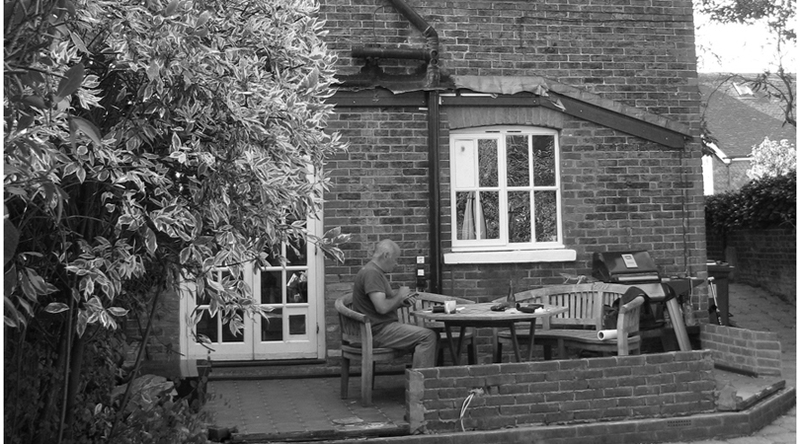 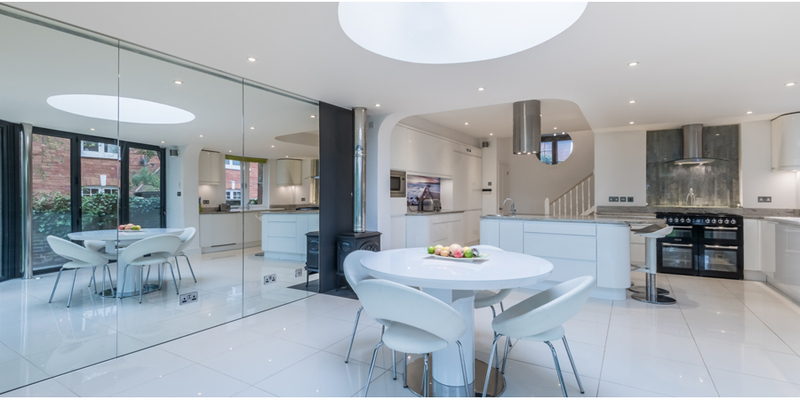 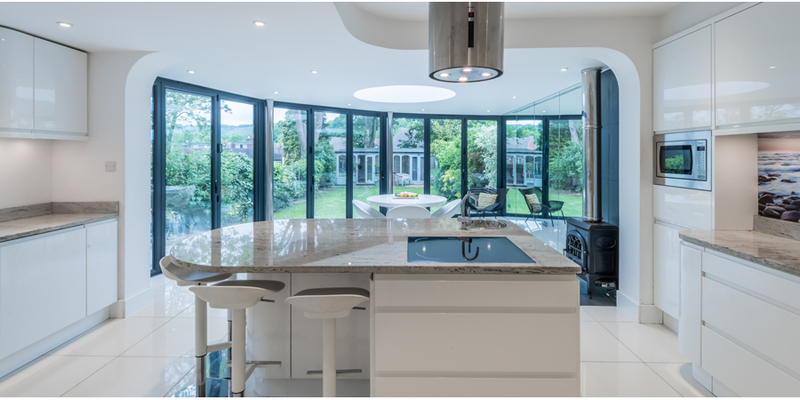 Our client required a larger kitchen/dining/living room in a new rear extension. 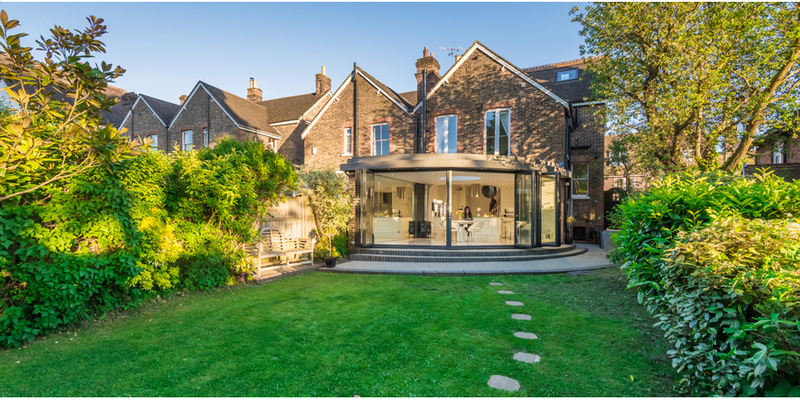 We were initially appointed to obtain building regulation approval for a previously designed rectangular ‘orangery’ type building. 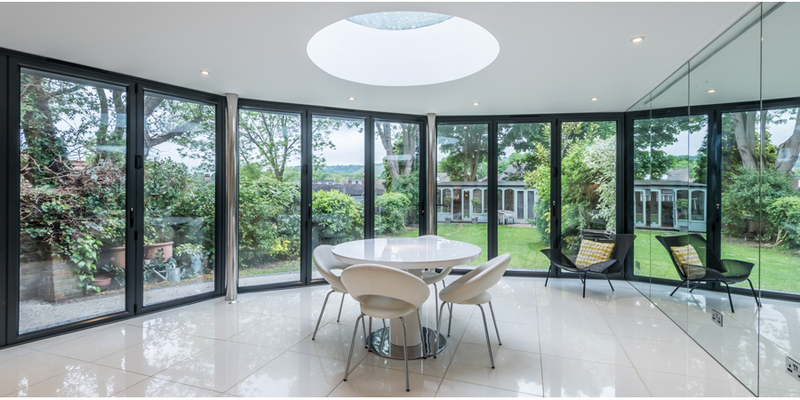 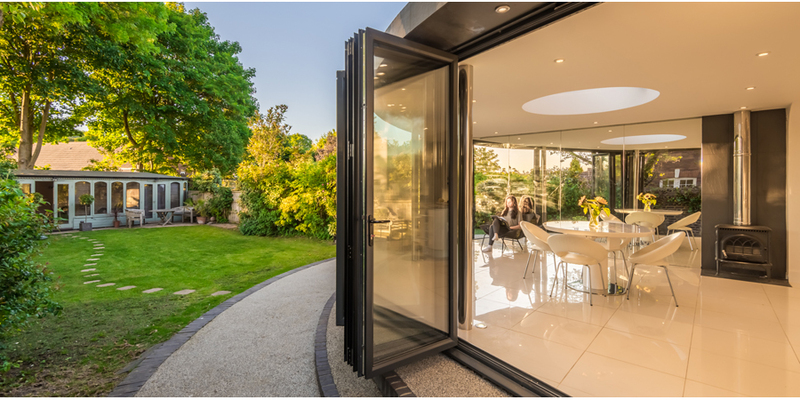 During discussions with the client we suggested that an alternative fully-glazed ‘quarter-circle’ arrangement would better allow the rear garden to wrap around the new building and also give attractive views to the North Downs. 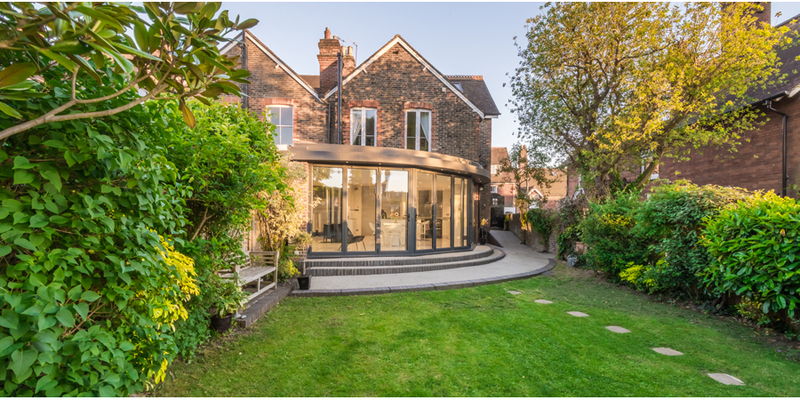 The overhanging roof contains a wide secret gutter which provides shading from high sun angles and reduces the apparent thickness of the heavily insulated roof. 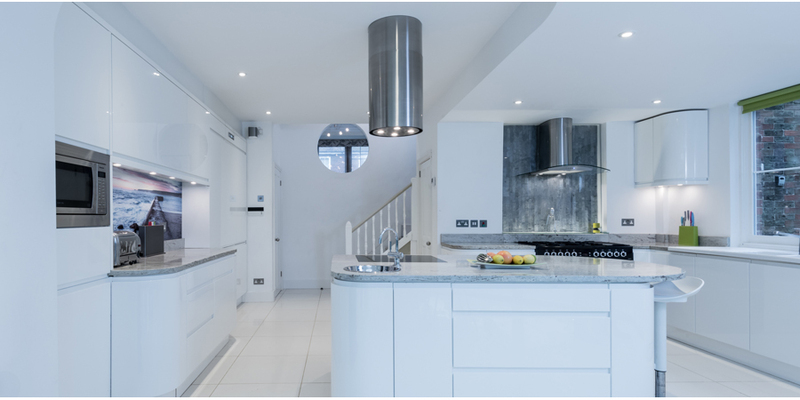 Our designer client (www.experiencedesign.co.uk) has executed a chic interior design scheme that fully complements the building form.